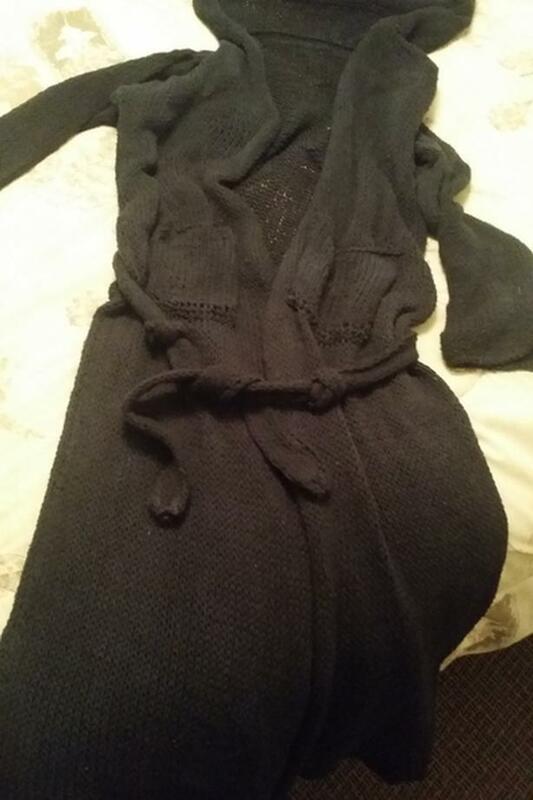 I knitted a beauty unique long sleeve black sweater with super long large hood that hangs down to the waist. It also has pockets & a belt. It is long to down the ankles. Fits all sizes. New. Only $60. Please call 250-868-9779 anytime.